English made white china cup approximately 7.4cm diameter x 7cm tall. Royal Australian Air Force King's crown crest to one side and a blue band at the rim. 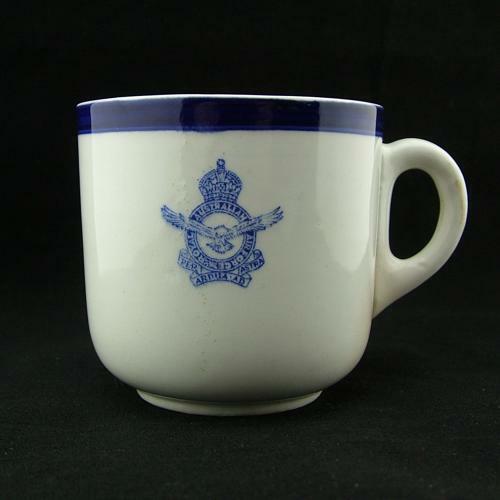 There are a few minor firing faults/blemishes but the cup is in very good undamaged condition. Larger coffee or tea cup. Stock code C22817.